Get more than just a browser, with our rich interactive App. 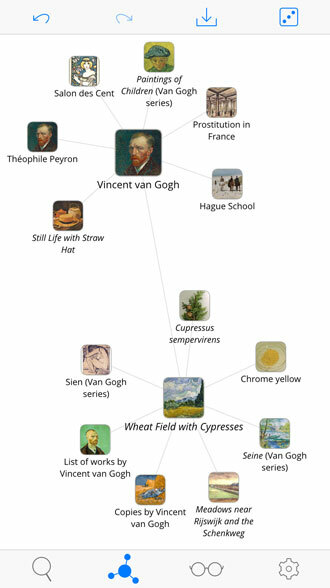 WikiLinks’ exclusive mind map brings a new standard to article discovery. WikiLinks 3 is even smarter than before, is fully optimized for iOS 8 and has many improvements. 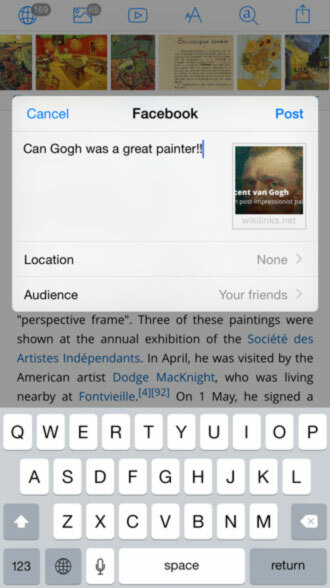 WikiLinks 3 introduces a revolutionary article preview. Get it on the App Store today. ... and a ton of other improvements! User comments are automatically updated once per day. Not all countries are shown. Toss the dice and allow WikiLinks’ serendipity factor to help you discover new topics. Get articles about points of interest near your location. 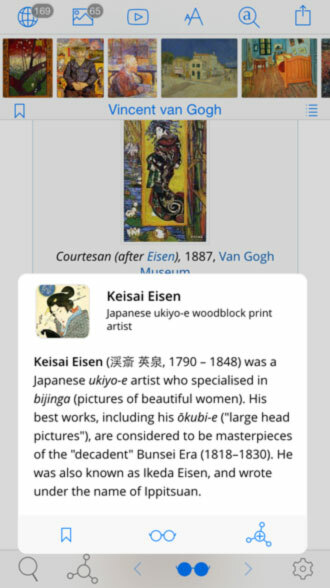 Subscribe to bi-weekly email with links to selected Wikipedia articles in each of your languages. Tap and hold a link to preview the article. 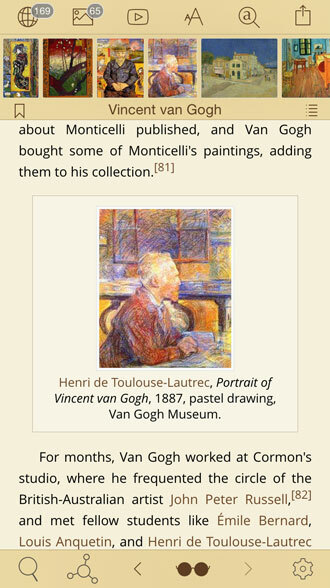 Retrieve articles, including all images, with the tap of a button. 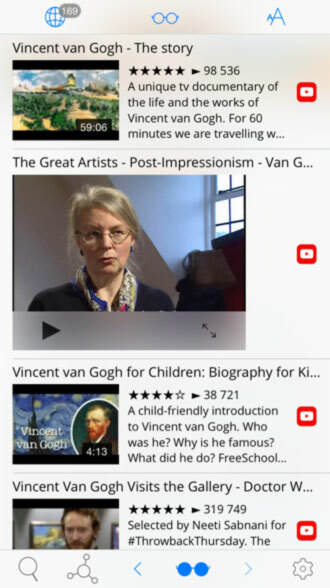 WikiLinks is the only iOS app that can play Wikipedia videos. WikiLinks comes with iOS, Sepia, Night and many other splendid themes. Each theme can be customized. Choose your favorite font and text size. Hide or show reference links in the text. Enable or disable text justification and hyphenation. Share your current discoveries with your friends over Facebook, Twitter, email and text messages, without ever leaving the app. Any app can interact with WikiLinks using URL schemes. To test these links, you need an iPhone, iPad or iPod touch with WikiLinks installed. 100% compatible with iOS Accessibility and VoiceOver for visually impaired users. "It basically just cuts you loose to browse" "If you don't use Wikipedia much, WikiLinks 3 might change your mind" "Intuitiv zu bedienen und übersichtlich" "[WikiLinks] est une de nos applications iOS préférées"
"Sicher ist jedenfalls, dass ihr mit WikiLinks nichts falsch macht" "WIKILINKS 3 te ofrecerá una de las mejores experiencias para navegar por el mundo del saber" "Wer Wikipedia als Recherche-Portal nutzt, sollte sich WikiLinks 3 nicht entgehen lassen" "Une approche nouvelle et amusante"
"WikiLinks 3 ist die unterhaltsamste und leistungsstärkste Art, die Welt von Wikipedia zu entdecken" "这是我非常喜欢的一句话。如果说维基百科是丰盛的知识食粮的话，那 WikiLinks 3 就是最优雅耐用的餐具"
All trademarks of the Wikimedia Foundation are used with the permission of the Wikimedia Foundation. We are not endorsed by or affiliated with the Wikimedia Foundation. Copyright © 2019 WikiLinks All rights reserved.